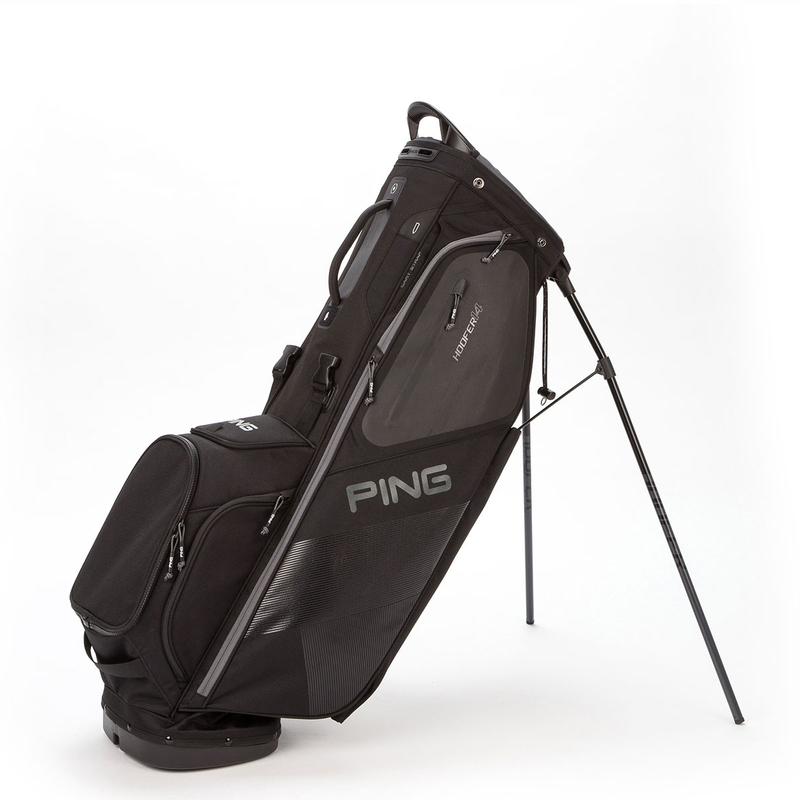 This excellent golf bag features a full 14-way top divider, which means the PING Hoofer 14 Stand Bag will keep your clubs better organised. 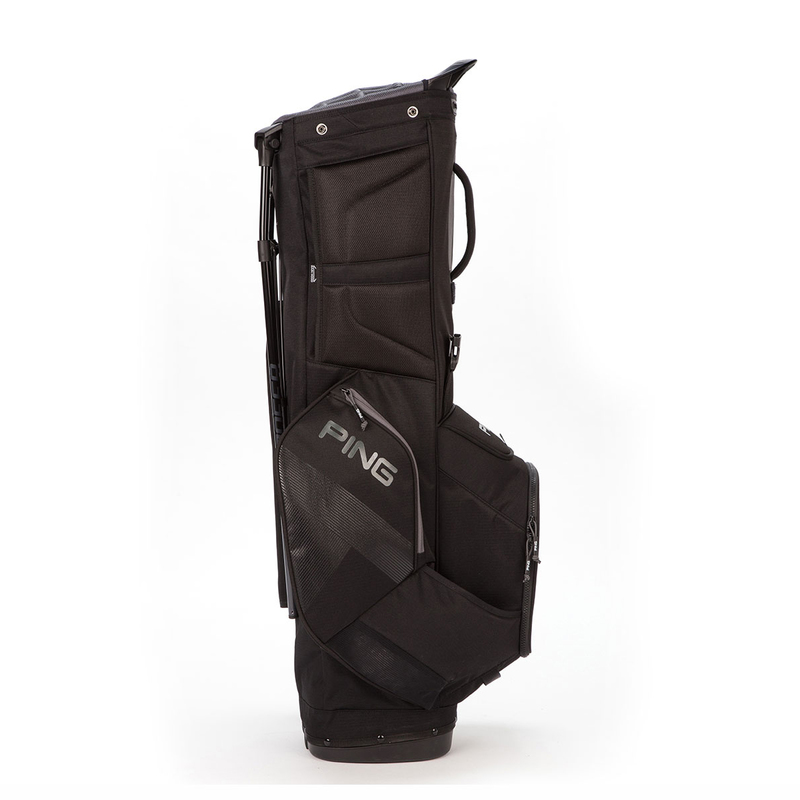 Never leave anything behind at the clubhouse, there are a total of 12 spacious pockets that includes, a rangefinder pocket, padded valuables pocket with slip pocket. 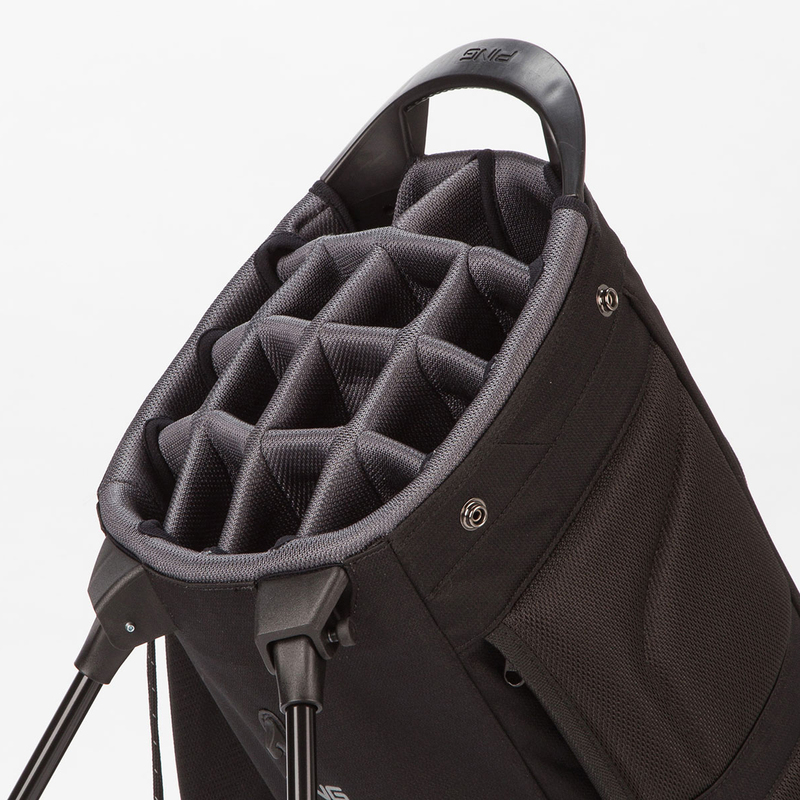 An umbrella holder ensures you won't get caught out by the rain by having your umbrella close to hand and there is also a deployable rain hood attached inside the hip pad. 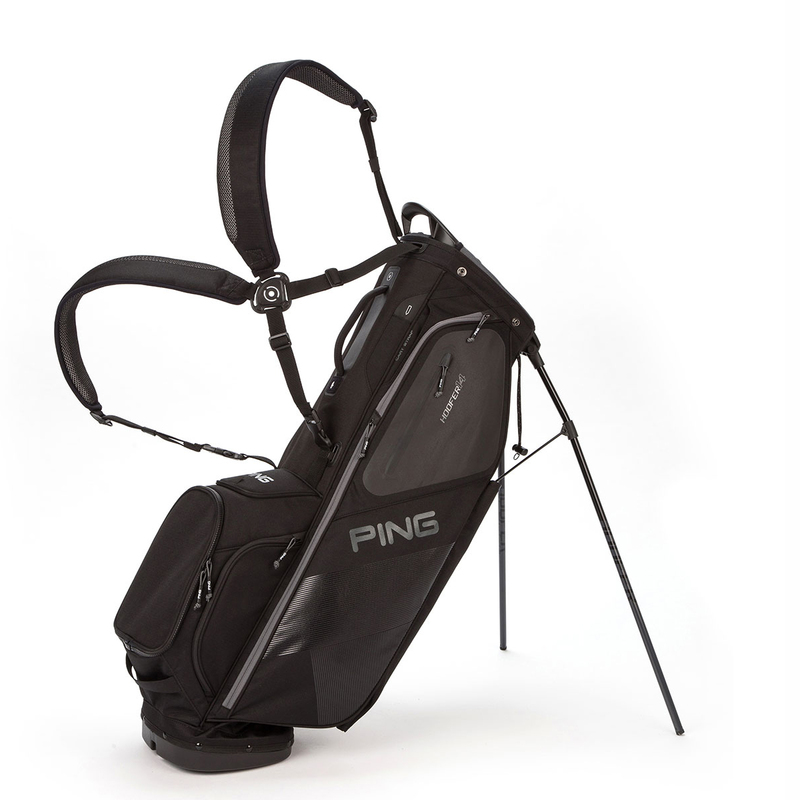 The bag has been constructed with a lightweight and durable high-denier polyester material, and has a built-in lift assist handle for easy transportation.